We live in turbulent times, our world is changing at accelerating speed. Information is everywhere, but wisdom appears in short supply when trying to address key interrelated challenges of our time such as; runaway climate change, the loss of biodiversity, the depletion of natural resources, the on-going homogenization of culture, and rising inequity. Living in such times has implications for education and learning. The speed of change, physically, socially and culturally, is accelerating. Continued globalization and digitalization are not only affecting how we think, what we know, who to believe, how we act, they also affect the role of education in society. Higher education, for instance, and the science it produces, is no longer the sole authority of truth, if ever it was. Rather, science oftentimes represents just another point of view or an opinion in the public debate of controversial and ambiguous issues such as; the causes and impacts of climate change, the role of GMOs in food security, the use of biofuels, etc. Scientists can be found on different ends of the ongoing debates, although more might be found at one end than on the other. It is not easy to decide who is right, who is wrong, or who is more right than others, or what the best way to move forward might be. What do we educate for in such a world when things change so fast and knowledge becomes obsolete before you know it? How do we prepare today’s graduate for the world of tomorrow? 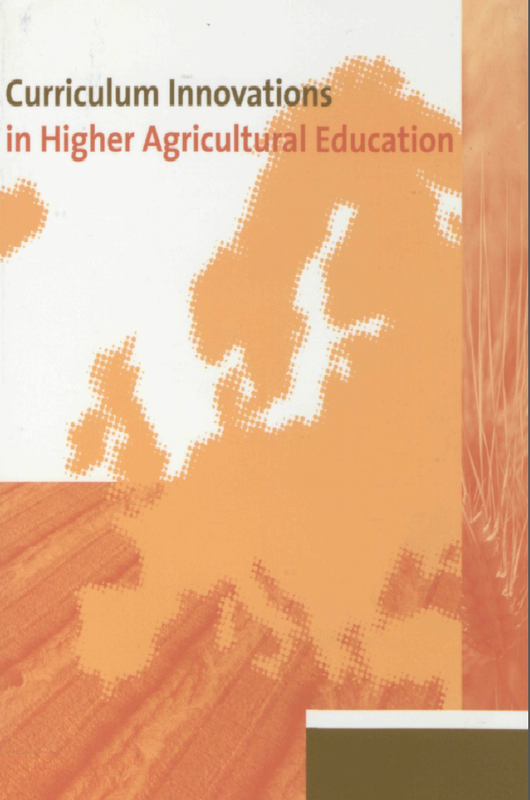 And more specifically, what are the implications for tertiary agricultural education (TAE) around the world? Again I would like to offer some thinking and reflection on existing practices that we did in the past that is still relevant today but now easily accessible thanks to open access and the digital age: Wals, A.E.J. (Ed.) (2005). Curriculum Innovations in Higher Agricultural Education. The Hague: Elsevier /Reed Business Information. In this book you will find contributions by Richard Bawden, Fabio Carporali, Paul Pace, Bill Slee and Sri Sriskandarajah. The opening section focusses on principles and stepping stones for curriculum development in a changing world, whereas the second part focusses on newly developed MSc programmes in a number of European Life Science Universities in the area of Integrated Rural Development. You can download the book by clicking on the link below the book’s cover image above!